Emily Noble serves as Tri-County Therapy’s Speech Language Pathology Lead Therapist. She received her undergraduate and graduate degrees from South Carolina State University and is an active member of the American Speech-Language Hearing Association (ASHA). 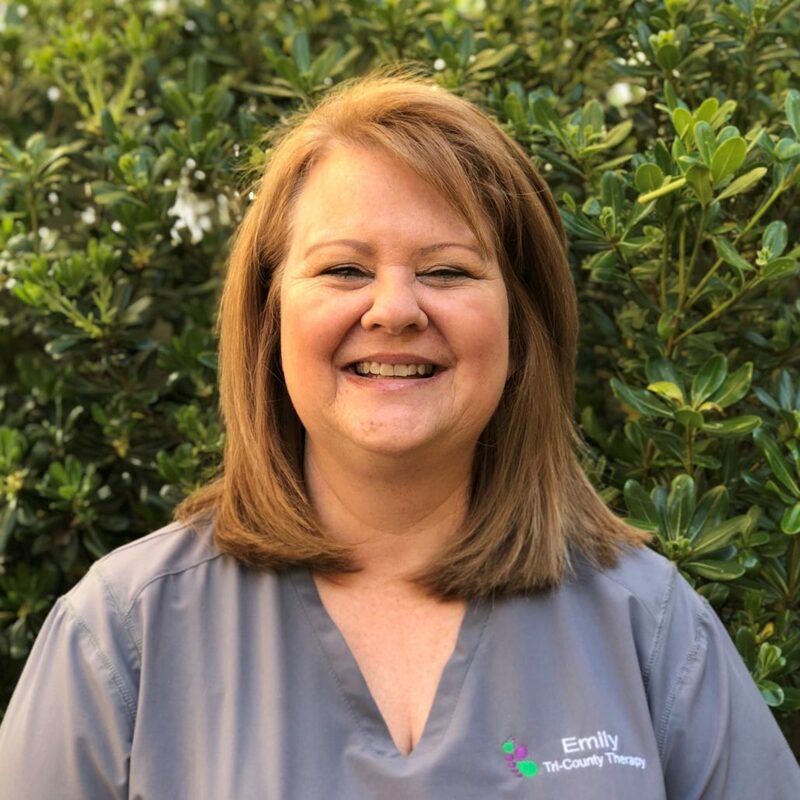 Emily is the Lead Speech Language Pathologist for Tri-County Therapy’s Ladson Office. Emily is Level 1 trained in PROMPT, which is a hands-on tactile-kinesthetic input approach to treating motor speech disorders. Emily has also completed Krisi Brackett’s CAN EAT course, which focuses on a medical, motor, behavioral approach to feeding disorders in children. Emily has a passion for working with preschool aged children and loves enriching her therapy with literacy based activities. She is trained in Picture Exchange Communication Systems (PECS) a recipient of the PECS literacy grant (20130-2014). In her spare time, Emily enjoys gardening, cooking, reading, and traveling with her family.